13 Feb 2017. This morning around 11 o’clock I went to see the doctor. I was sick last Saturday, and I couldn’t go to work, so today I had to collect the certificate to give to the office people, who will mark my Saturday absence as sick leave. It took me five minutes to sort the whole thing out. Five minutes, and I was done. But it was still early, the sun was shining, and the sky was blue, which it hadn’t been in what felt like weeks. 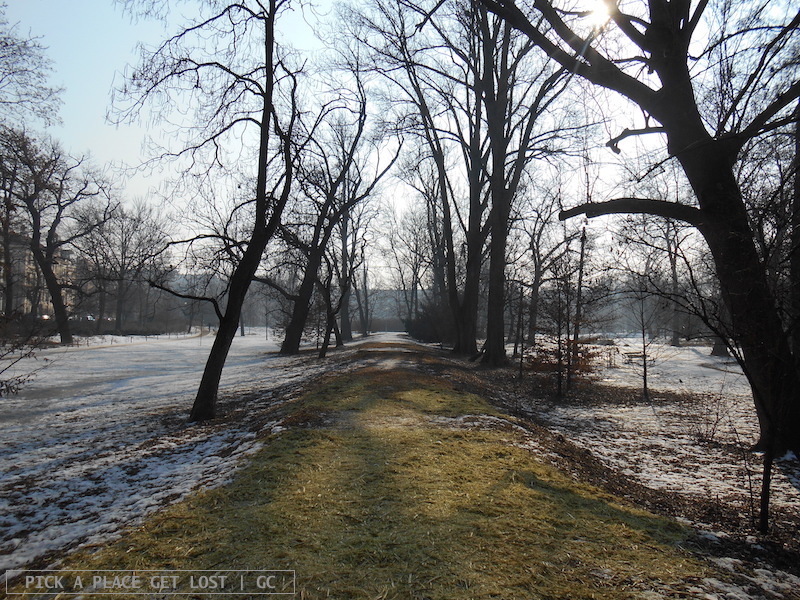 And Lužánky park was right across the street from the doctor’s office, so it was even too easy to step onto one of its icy, slippery footpaths. Except, soon after picking up my usual strolling pace, I stopped and looked left, as I’d casually glimpsed something I no longer remembered was there in the first place. Yes, the grass, the green, carpet-like natural surface that usually covers the ground in parks, green areas and the like. I saw it. It was a vaguely rectangular patch, partially lit up by the sun, and surrounded by the icy, glistening snow. I know it sounds like a very stupid thing to say, that I saw the grass. I had the same feeling when I thought to myself: ‘Ooh look, the grass! That is actual grass!’. But you know, it is a big deal. In fact, I don’t even remember when I had last seen it. It’s the first grass of 2017. Not even the Lužánky grass from New Year’s Day counts: when I ran through the park that morning everything was frozen, and the frozen mist cast a greyish light on all things around. So yes, this morning I saw green grass after a very long time, and it made me realise how everything looked different even though it looked the same. The trees were the same, the path was the same, and so were the benches and the birdhouse. 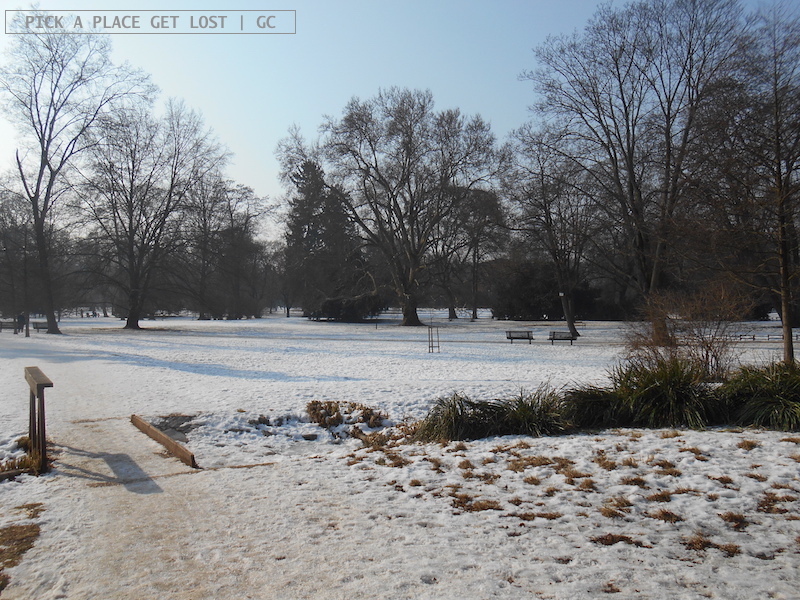 Except, the snow was not there, and that was enough to make those very snowless spots look different. I had never lived in a country (especially a country where snow is a thing) for long enough to see winter come, stay, and then show the first, tentative signs of departure. When I was in Russia, I saw winter come and stay, but it was I who left before it did, so not even that counts as a valid precedent. It’s quite cool how the prolonged permanence of snow makes you notice the tiniest changes in the landscape, when they occur. 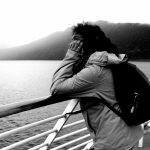 Am I really just making a fuss about nothing? Maybe there’s nothing to notice in the first place. I mean, it’s winter, so there’s obviously a lot of snow, and then, when it’s all melted, it’s just gone. Thank you. That’s it. Or maybe I’m just the kind of person that notices this type of things more than others, i.e. usually the super obvious stuff I’m too slow to catch at first sight. Like, the first time I saw the Old Town Hall I completely failed to notice that one of the pinnacles was all bent and deformed, and when I did notice (a few days later), I thought it had been damaged overnight and I told Bobby we had to report it to someone. And yet, every day since our flatmate moved out a couple of weeks ago, I actually ‘see’ that her two white-and-blue scarves are no longer hanging loose on the coat rack by the door. That I notice every day. And so does Bobby, I know. Except, she noticed the bent pinnacle the first time she saw it, not the second. I guess at times it takes longer to notice that something is actually there than to see that something is not there anymore. I guess. 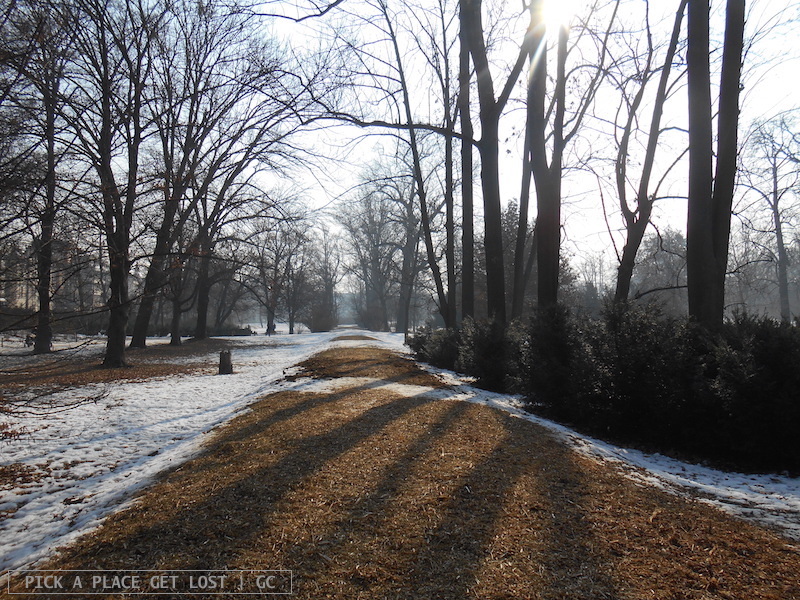 This entry was posted in Brno, Czech Republic and tagged brno, luzanky park, park, things, winter by Giorgia. Bookmark the permalink.